Dave began his career running very successful retail stores in managerial positions for Walgreens’ restaurant division (1981-1983) and Aldi Foods (1983-1991). However, as early as the fifth grade, he knew that he wanted to be in the sporting goods industry. So, in 1981, while still working for Walgreens, he opened his first bait shop. After renting several locations, Dave knew he needed to buy or build his own store, so he built the existing log building in 1989. For two years he continued to work full-time at Aldi and run Dave’s Bait, Tackle & Taxidermy, finally leaving Aldi in May of 1991. In 1993 he expanded his store by adding a 1,200 square foot addition. Attending ICAST events helped Dave continue to grow the business and his best move was becoming an ASA member. Before he joined the ASA, he was in the Industry, but after joining, he really felt like he was the Industry. Dave’s involvement in the ASA was the most important thing he’s done for his business; not just from the business end but from the advocacy end, too. He’s discovered the value of events like ASA’s annual Summit where he’s met some of the most influential folks in the industry. More importantly, it inspired him to become involved. Currently Dave sits on the ASA retail show committee, which is now owned by NMMA. 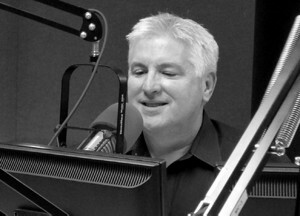 Dave was a weekly guest on the Outdoor Experience for many years. He writes weekly fishing reports for the Northwest Herald and was recently profiled in the national publication, Fishing Tackle Retailer. He speaks to local fishing clubs and at industry shows like the Chicagoland Fishing Travel and Outdoor Expo, but his favorite speaking engagement occurs each year when he’s invited to talk at local schools about careers in the outdoors. 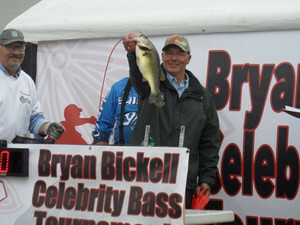 Dave enjoys fishing in in charity events like the Bickell Foundation and veterans’ tournaments, industry events such as the ICAST Cup, and annually fishes local bass tournaments to raise awareness of his store and his sponsors’ brands. His visibility and tournament results earned him spots on the Legend Marine pro staff 2016 and Mercury Marine Pro Team 2016. Dave is serving his second year of a five year term as a trustee with the McHenry County Conservation District, a nationally recognized organization for conservation excellence. He was a delegate for the 2016 Conservation Congress representing the sportsmen of McHenry County. Dave says that he has the best job in the world. He considers himself an educator about the outdoors, then is able to make a living from selling the related products.